Real estate opportunity: Pride of ownership shows! 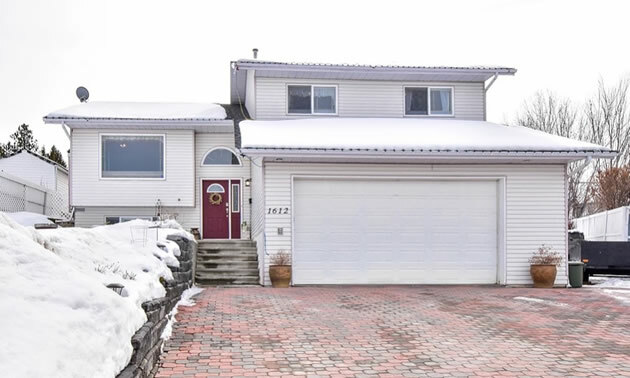 Enjoy stunning mountain views from this beautifully renovated 4 bedroom, 3 bath family home located in a quiet popular neighbourhood near elementary school and parks. With a pride of ownership, you will love this bright character home with 3 skylights and featuring a large spacious foyer with ceramic tile flooring, spacious updated kitchen/dining area with loads of cabinetry, granite countertops, island, pantry and sliders to back decks for entertaining. With stunning hardwood floors throughout main, the open floor plan boosts a large picture window in living room with breathtaking Rocky Mountain views and lovely gas fireplace. Master bedroom is spacious with double closets and large updated 5 ice en suite with double sinks, corner shower and skylight. Two upper level bedrooms both have stunning mountain views. Newly renovated 4-pce bath, media room and loads of storage. Updates also include roof, furnace, central air and hot water heater. Large attached double garage and RV parking.